Snow-day season is officially here, and kids across the country are double- and triple-checking the weather forecast, hoping for a day off school and a day home with their favorite toys. But when that initial snow-day excitement fizzles and cabin fever kicks in, crafts are the perfect way to keep little ones occupied and prevent them from going stir-crazy. With these seven winter-themed crafts, kids will get to enjoy all the snow-day fun without having to brave the weather. To build this snowman, you won’t need to bundle up. I love this adorable Bottle Snowman Craft craft from Mom365. 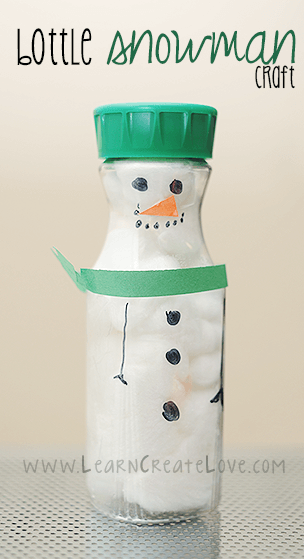 Put those leftover juice bottles to use by stuffing them with cotton balls to create a no-melt Frosty-inspired friend. Yet another simple craft that will “Let it Snow” in your living room. These traditional paper snowflakes will bring the magic of a snowy landscape inside without having to step outside. Making these snowflakes from Red Ted Art will inspire kids to get creative. They can create multiple designs and patterns of their choice, much like real-life snowflakes. Who knew you could make paint that looks and feels just like snow? This Shivery Snow Paint recipe can be used to create a winter landscape or a family of snowpeople. When the glitter snow paint dries, it looks and feels puffy on the page. With this unique craft, kids will feel like they’re dashing through the snow—without braving the cold or the cleanup. 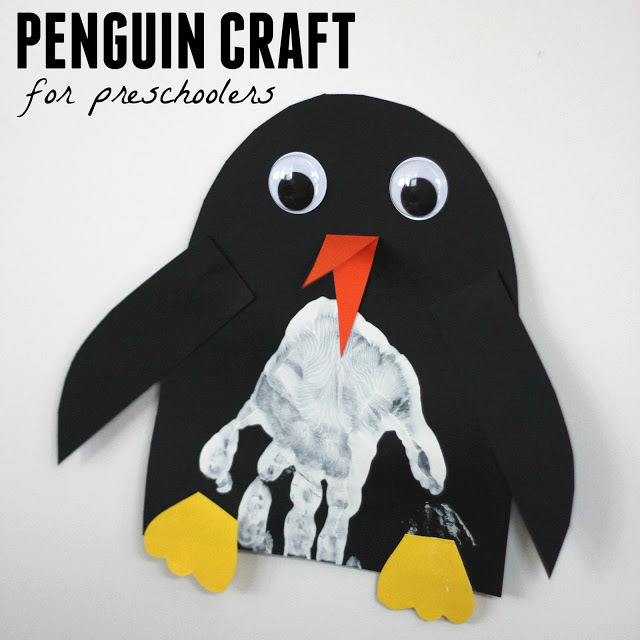 With this playful craft, you can make-believe your Arctic creatures. 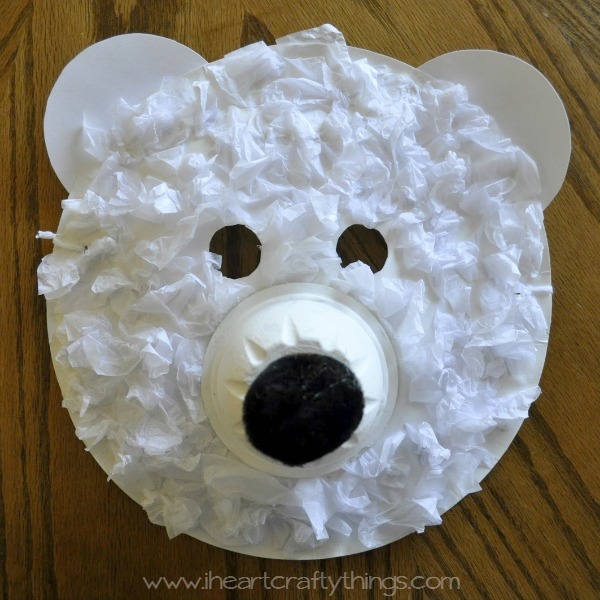 Follow I Heart Crafty Things’ simple instructions to create these bear-y convincing masks. Adding an educational element is easy: Share some polar bear facts or find a good book (I love “Polar Bear, Polar Bear, What Do You Hear?”) to make the most out of this cute craft. What could be more fun than playing in the snow? If the weather outside is keeping you indoors, try your hand at making this slimy, glittery version that looks and feels just like the real thing. This recipe from Growing a Jeweled Rose takes minutes to make and can be stored in the fridge for an added icy-cool feel. With this simple craft, the kids can DIY their own Arctic animal. While you craft, try incorporating an educational element to teach kids about these fascinating creatures and their habitat. (Did you know that penguins huddle up in large groups to stay warm in extreme cold?) All this simple craft requires is construction paper, googly eyes and paint. Check out the full instructions from Toddler Approved. It doesn’t have to be snowing for kids to witness a winter wonderland. 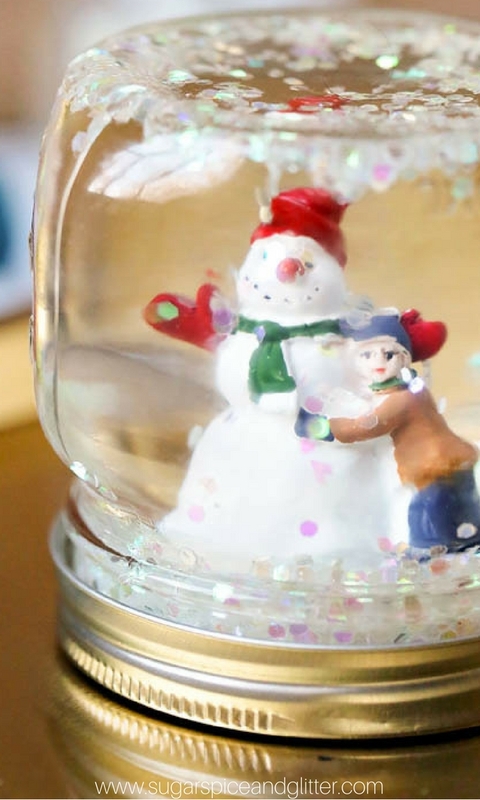 This snow globe craft creates a holiday scene that kids can hold in the palms of their hands. Follow Sugar, Spice and Glitter’s step-by-step instructions to help kids make their own tiny worlds of winter magic.